Submitted 3 months 11 hours ago by feeds user. EOTech Holographic Weapon Sights Proven effective by military and police units Delivers precision accuracy Function in harsh conditions EoTech's Holographic Weapons Sights have proven effective for fighter pilots, military and police units. This revolutionary technology is renowned for its precision and ability to function in harsh conditions. Available: • 518 – Side button reduces rail space when partnered with an EOTech magnifier (not included). Compatible with drop-in laser battery caps to enhance aiming through the use of visible and infrared lasers. 20 daylight settings. Runs up to 1,000 continuous hours lithium batteries, 600 hours on two 1.5-volt AA batteries (not included). 5.6"L x 2.2"W x 2.9"H. Wt: 13.8 oz. • 558 – Compatible with Gen 1-3 nighvision devices. Adjustable, locking quick-detach mount. Side button reduces rail space when partnered with EOTech switch-to-side magnifier (not included). Compatible with drop-in laser battery caps to enhance aiming through the use of visible and infrared lasers. 20 daylight settings. Runs up to 1,000 continuous hours lithium batteries, 600 hours on two 1.5-volt AA batteries (not included). 5.6"L x 2.2"W x 2.9"H. Wt: 13.8 oz. • 512 – Waterproof, submersible to 10 ft. Mounts to Picatinny rail with return-to-zero after remounting. Run time is up to 1,000 continuous hours on lithium batteries, 600 hours with two AA batteries (not included). 5"L x 1.8"W x 2.25"H. Wt: 11.5 oz. • 552 – The standard used by the FBI, DEA, ATF and elite military units. 65-MOA ring with 1-MOA aiming dot. Waterproof, submersible to 33 ft. Mounts to Picatinny rail with return-to-zero after remounting. Run time is up to 1,000 continuous hours on lithium batteries, 600 hours with two AA batteries (not included). 5"L x 1.8"W x 2.25"H. Wt: 11.5 oz. • XPS2-0 – Shortened base requires 2.75" of rail space. 65-MOA ring with 1-MOA aiming dot. Waterproof, submersible to 33 ft. Run time is approximately 600 hours on one lithium battery (not included). 3.75"L x 2.4"W x 2.4"H. Wt: 8 oz. • XPS2-2 – Mounts and removes quickly with zero repeatable up to 2-MOA. 1" standard Weaver rail mount. 65-MOA sight-ring reticle with a pair of 1-MOA dia. stacked dots. Nonreflective black hard-coat finish. Waterproof and submersible to 33 ft. Up to 600 hours run time on a CR-123 lithium battery (not included). Not nightvision compatible. 3.75"L x 2.4"W x 2.4"H. Wt: 8 oz. • XPS3-0 – Mounts and removes quickly on a 1" standard Weaver rail mount. 65-MOA sight ring with a 1-MOA single centered dot. Nonreflective black hard-coat finish. Waterproof and submersible to 33 ft. Up to 600 hours run time on one CR123 lithium battery (not included). Nightvision compatible with 10 brightness settings for generation 1-3+. XL. 3.75"L x 2.4"W x 2.4"H. Wt: 8 oz. • XPS2-RF – Specifically designed for rimfire rifles, it mounts to any 3/8" dovetail rail. 65-MOA¿sight ring with 1-MOA single centered dot. Zero repeatable within 2-MOA after remounting. Nonreflective black hard-coat finish. Water-resistant. 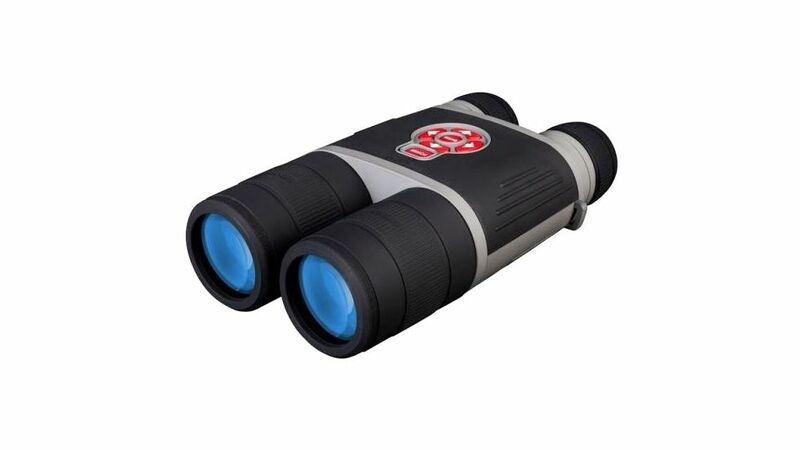 • EXPS3-4 –Boasts the same features and compact size of the EXPS2-0 with the addition of nightvision compatibility. Submersible to 33 ft. and utilizes a 65-MOA ring four-dot reticle. Cancer and Reproductive Harm- www.P65Warnings.ca.gov.